From sparkling statement rings to bold and bright baubles, The Jewel is a treasure trove of exquisite, exceptional jewelry. The Jewel is the new iteration of Destin Jewelers, a landmark jeweler in the area now located in Grand Boulevard Town Center. With Valentine’s Day and Mother’s Day on the horizon, spoil the special lady in your life with an elegant emerald, a timelessly classic diamond or gleaming gold and stunning silver pieces. A modern and intricate take on an 18-karat yellow gold hand-fabricated necklace with 1.15 carats of diamond by Audrius Krulis. Elegant and eye-catching 14-karat white gold, multi-stone 1 carat emerald-cut diamond halo earrings by Facet Barcelona. 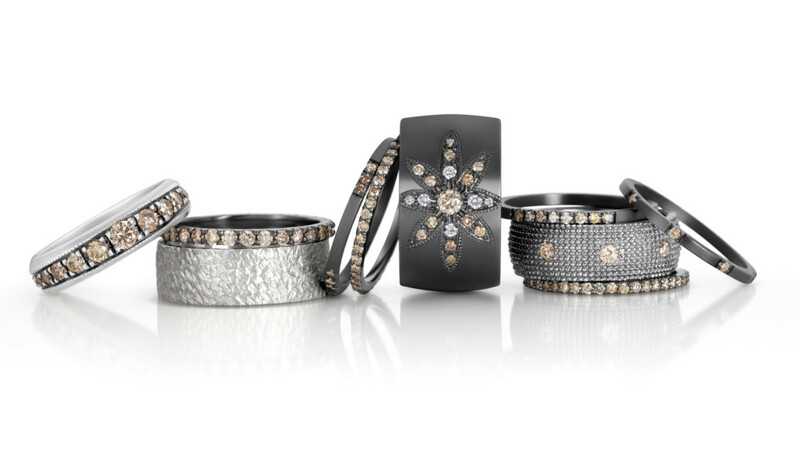 Stack and style these Rene Escobar oxidized sterling silver, 18-karat yellow or rose gold bracelets with diamonds. Enliven with emeralds. 14-karat recycled gold, 5.75 carat emerald eternity band by Ila. Ornate and bold sterling silver, 18-karat yellow and rose gold diamond stack bands by TAP by Todd Pownell. Delicate yet daring 18-karat yellow gold hammered, forward-facing hoop with .27 carats of diamond by Yasuko Azusa. Sleek and chromed oxidized sterling silver and black rhodium stack bands with diamonds by Suneera 925. Classically unique 14-karat yellow gold and oxidized sterling silver earrings with freshwater pearls by The Mazza Company.